Shelter Logic 10 x 10 Shed in a Box: Shelter Logics 10ft x 10ft Shed in a Box provides a functional, cost effective solution to your outdoor storage needs. With plenty of space to store all your garden tools and equipment. 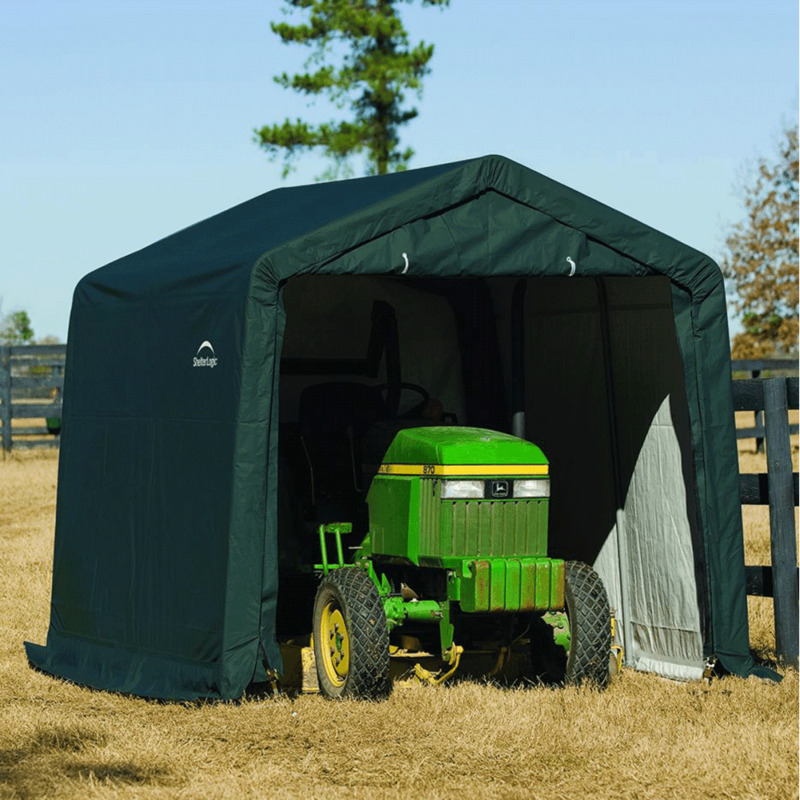 This high-quality design provides all weather protection, all year round. 3x ShelterLock® steel stabilisers work together to provide the utmost stability and durability to the frame allowing it to withstand rough weather conditions. The cover is manufactured using heat sealed triple-layer polyethylene for maximum water resistance. The premium powder coated steel frame is resistant to peeling, chipping, corrosion and rust, ensuring the sheds longevity. Using Ratchet TiteTM tensioning ensures a drum tight fit between the cover and frame, helping to keep bad weather at bay. UV treated inside and outside with additional fade blockers.